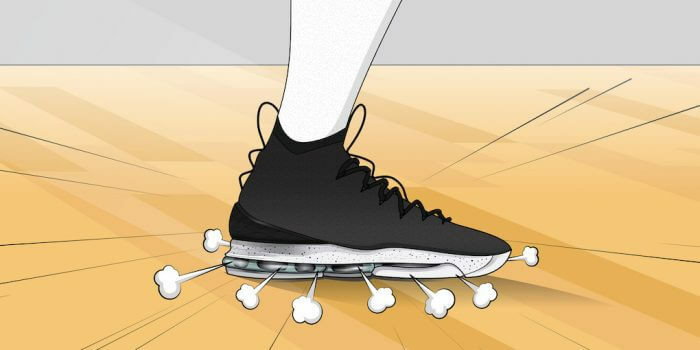 The cushioning setup of basketball sneakers can differ wildly. There are shoes like the Kyrie 3 that make you feel like walking on a slab of concrete while others (Lebron 15) provide cushion that feels like a soft pillow. If your knees are hurting after every game you should look for more impact protection! 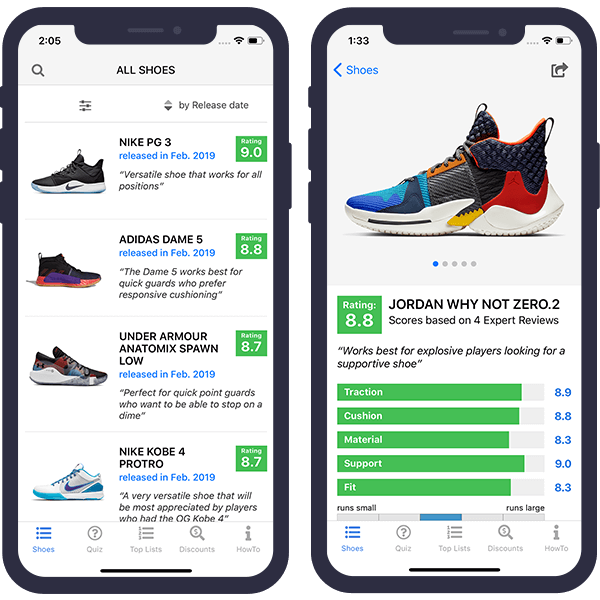 To help you find the best cushioned basketball sneaker I am constantly checking out the latest shoe releases and record the ratings of every honest and qualified performance review I can find. So far I have summed up the findings of 477 reviews of 81 different performance basketball shoes. The following overview shows the top ten sneakers, ranked by the average score they received for their cushioning. This list was last updated on Apr 12, 2019. 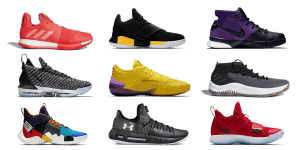 Scroll down further to see a more detailed summary of each shoe, or click on the links to see quotes and ratings from every review I gathered for each shoe. Provides responsive cushioning, good traction and great lockdown. 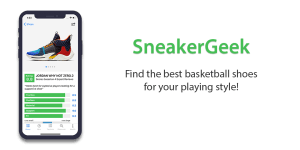 Works best for quick guards looking for a low-to-the-ground, responsive and light basketball shoe. The Adidas Marquee Boost is a modern performance basketball shoe with a bit of retro flair. The traction sticks like glue on clean courts but can be problematic on dusty courts, especially in the beginning. The Boost cushioning provides a lot of impact protection in the heel and responsiveness in the forefoot. If you are looking for a shoe with a lot of ankle support then the high version has you covered with a firm and supportive ankle collar. The materials are rather basic but they look and feel nice and get the job done. Overall, the Marquee Boost is a very good all-around performer that should work for basketball players of all positions. What types of cushioning are there? And which cushion is the best? 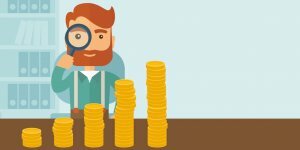 It is impossible to say which type of cushioning setup is the best because they each cater to different needs and styles of play. There are firm cushions like pure Phylon that provide great court feel and responsiveness which are perfect for light and quick guards. 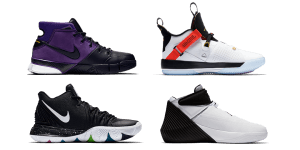 Other types of cushion like Nike Zoom Air provide a lot more impact protection and are better suited for heavy players or older athletes that want to go easy on their joints. 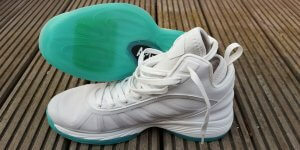 Zoom Air was first released in 1995 and is one of the oldest and most popular cushioning systems. It is made of tightly stretched tensile fibers in a pressurized “Air” unit. It is most often used in high-end basketball shoes and expensive signature lines like the Lebron or KD shoes. Boost outsoles are made of hundreds of tiny thermoplastic urethane pellets that are fused together using hot steam. What makes these pellets unique is that they are incredibly soft while still remaining springy enough to provide great energy return. This allows Adidas to make shoes that are insanely comfortable but still provide enough responsiveness to be used in quick sports like basketball. Every shoe brand has multiple versions of foam cushionings usually made of EVA which is a mixture of two plastics (Ethylene and Vinyl Acetate). EVA is a foam that includes a lot of tiny air bubbles which provide the intended bounciness and comfort. A well-know example of a simple EVA cushioning is Phylon which is used in a lot of Nike sneakers. Other more advanced forms of cushioning like Nike Lunarlon, Adidas Bounce or Under Armour Micro G use a mix of EVA and other rubbers to create lighter and more comfortable foam. While the characteristics of foam cushioning can vary wildly, they are usually very responsive and provide great court feel but lack elite impact protection.